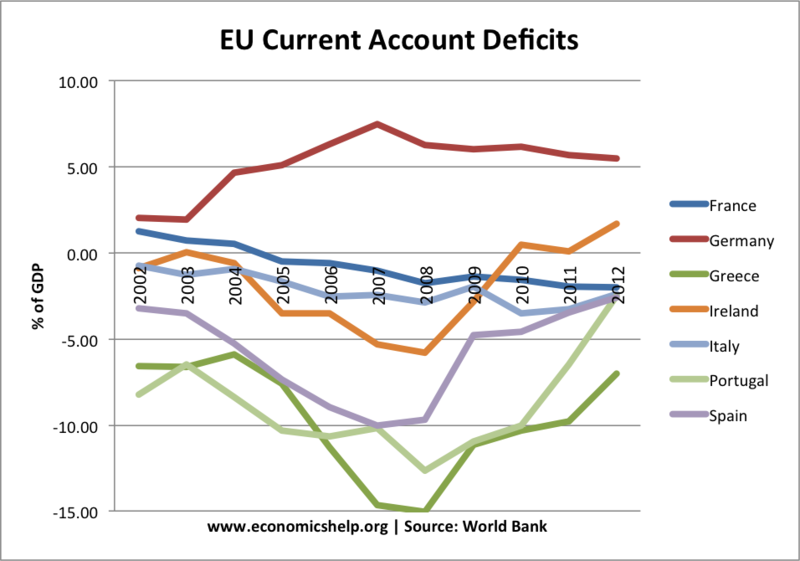 Selected Current account balances from different countries. 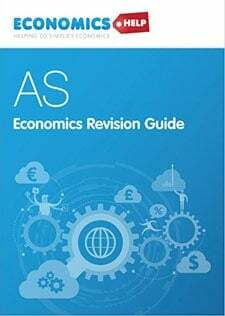 The current account measures the value of goods, services, investment incomes and transfers (see: Balance of payments). A deficit implies the country is importing more goods and services than exporting. In the past few years, the global slow down has seen a reduction in global imbalances. China and Japan have seen a fall in the size of their current account surplus. UK and US have seen a reduction in the size of their current account deficits. 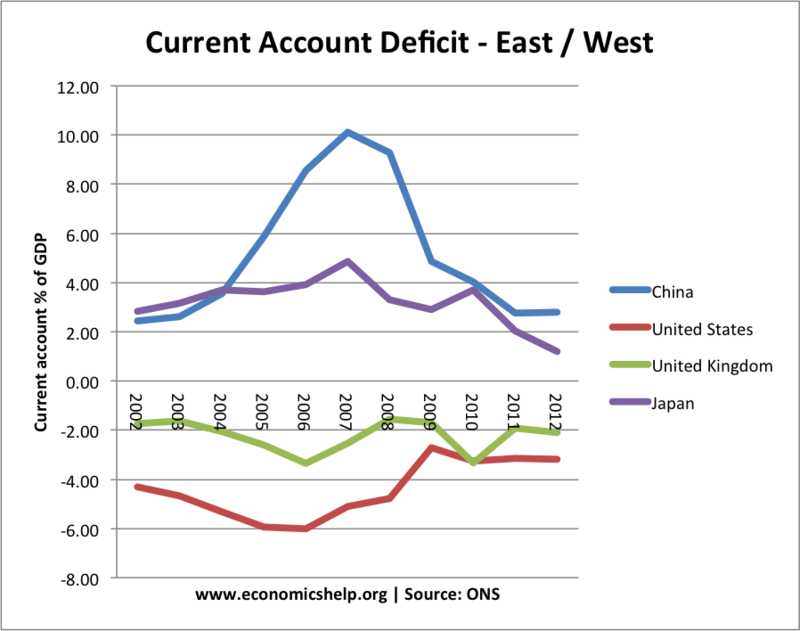 To some extent the current account deficit in US / UK is mirrored by the surplus in China and Japan. China’s current account surplus peaked in 2008 (at over 10% of GDP) but has fallen since then. Global recession hit consumer spending in UK and US leading to lower demand for import spending. Global slowdown has adversely affected Japanese and Chinese exports. Global credit crunch has had an impact on capital (financial) flows. This has made it harder to finance large current account deficits. 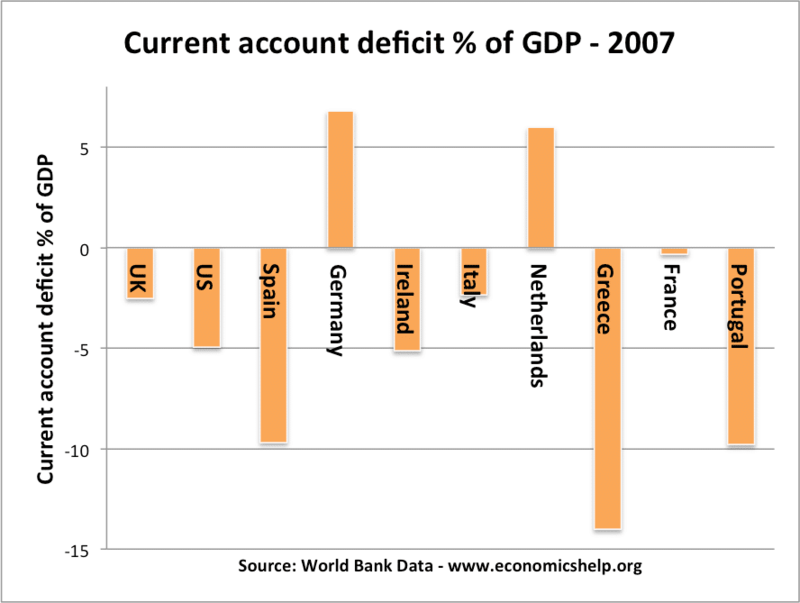 In 2011, the Eurozone had a current account deficit of 0.0%. But, this masks a current account imbalance between member countries. Essentially, Germany has a large current account surplus (over 5%) whilst peripheral countries (Portugal, Spain, Greece and Italy) have current account deficits. Since the recession of 2008, there has been an improvement in the current account deficits of Spain, Portugal, Greece and Ireland. This is due to the process of internal devaluation and recession. Lower economic growth has kept wages down helping to restore competitiveness. Also, the deep recession has led to a substantial fall in import spending by consumers. 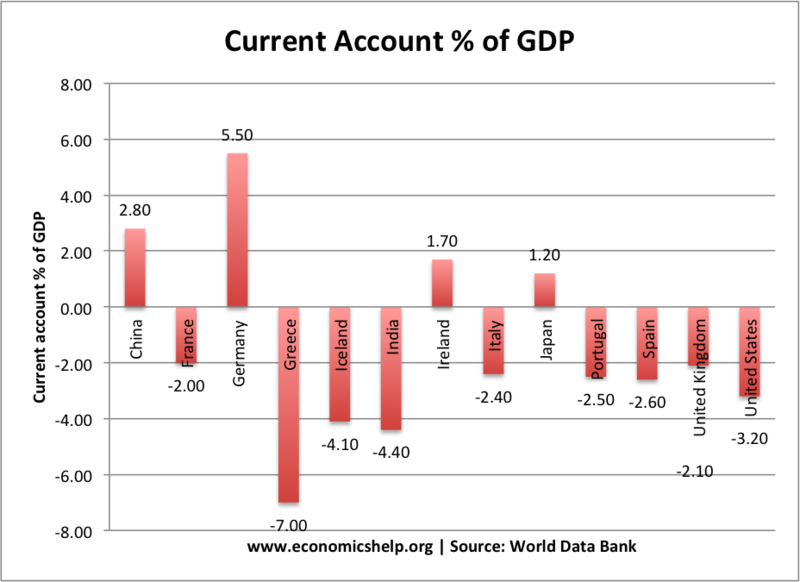 Nevertheless, despite the prolonged recession, there are still significant current account imbalances. 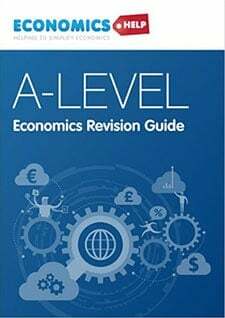 This suggests that the process of internal devaluation is slower than a floating exchange rate in reducing current account imbalances. 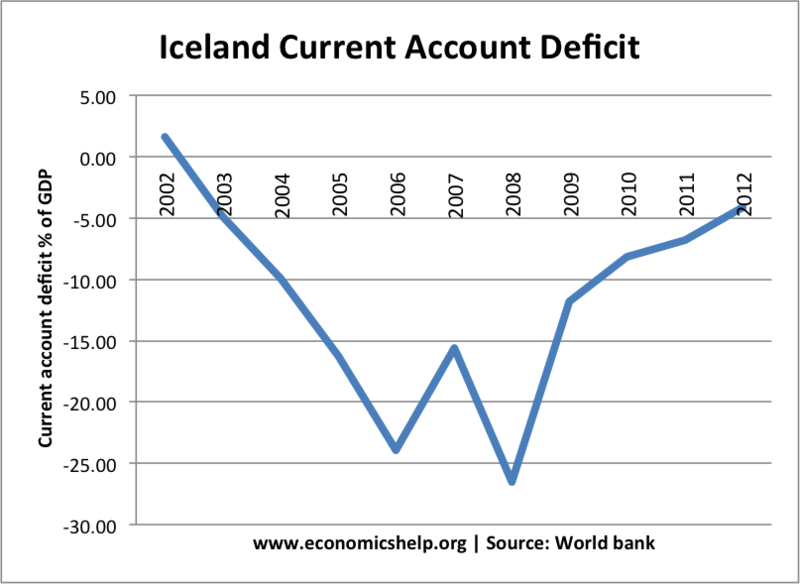 Iceland built up a record current account deficit in 2008 of over 25% of GDP. This was the height of the Icelandic banking boom. Iceland received substantial capital inflows. Consumers spent these capital inflows on foreign imports. Basically, Iceland was spending more than it had. 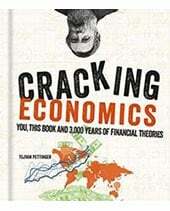 When the capital inflows dried up in the credit crunch of 2008, there was a sharp depreciation in the value of the Icelandic currency leading to a rebalancing in the economy. As the currency fell, imports become expensive and exports became more competitive. 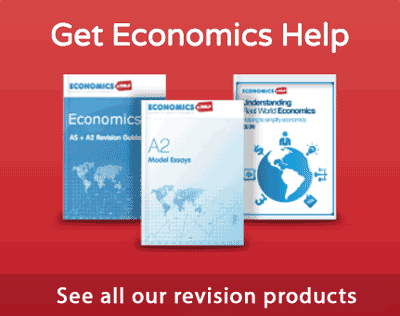 Should we be concerned about current account deficits? 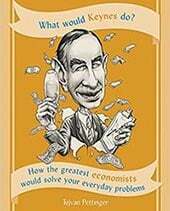 ← How To Improve the American Standard of Living?